We deliver bulk water for swimming pools, spas, and garden ponds. 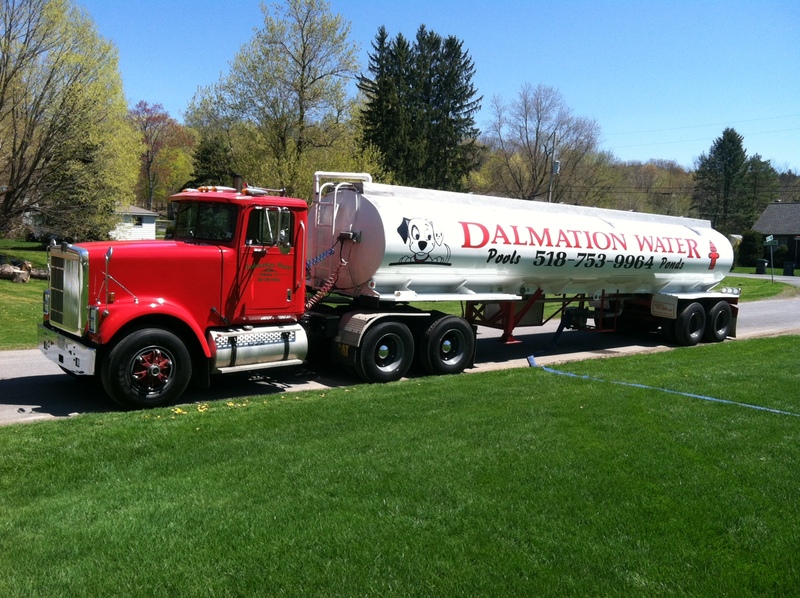 Family-owned and operated since 2004, Dalmation Water's mission is bringing you clean, healthy water. We can top off or completely fill your swimming pool, and we can do the same for your hot tub or pond. We get our water from the Troy Treatmeant Plant, which is the City of Troy's pretreated drinking water. Proud to serve the Capital District and surrounding areas, 7 days a week!